Titus Avenue is a street running between Broadway and Walden in the Emerson Neighborhood of the East Side of Buffalo. The street was named for Judge Robert Titus. Judge Titus went into a partnership with Charles Goodyear, Frank Goodyear, Edward Koons and Henry Koons to subdivide and develop the land on these streets. You can read about the Goodyear brothers by clicking here. Robert Cyrus Titus was born in Eden, New York in October 1839. His parents came from Otsego County, New York to the “far west”, as the Holland Purchasewas called in 1817. At the time, there were no roads through the countryside surrounding the small Village of Buffalo. Guideposts along the way were blazed trees along the lines most frequently traveled by the occasional settler. By 1831, they had plowed fields and built a house with a large fireplace and dutch oven. In this house, Robert Titus grew up, the youngest of six siblings. Robert Titus was educated in a one-room school-house and then attended Oberlin College. He taught school during the winter term to help finance his own education. He studied law and set up a practice with Horace Boies in Hamburg, New York. He opened a practice in Hamburg, New York. In 1863, Mr. Titus organized a company, which became part of the 98th Regiment of the National Guard of New York State. The regiment was in service from August 10, 1864 to December 22, 1864. After he returned home, he was admitted to the bar. Shortly thereafter he was appointed Special Deputy Clerk of Erie County and held the office until 1864. In 1867, he was a candidate for the New York State Assembly, but was defeated. His first public office was Supervisor of Hamburg from 1868-1871. 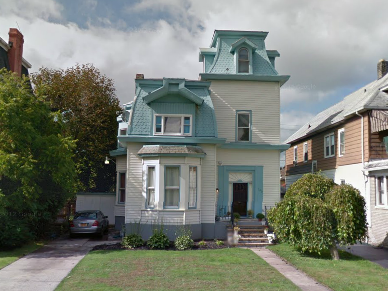 In 1873, Mr. Titus moved to Buffalo with his wife Arvilla to enter into a partnership with Joel Walker. In 1878, he was elected district attorney. In 1879, Mr. Titus was made a partner in the firm of Osgoodby, Titus & Moot and practiced with them until 1883, when he formed a partnership with B.S. Farrington. 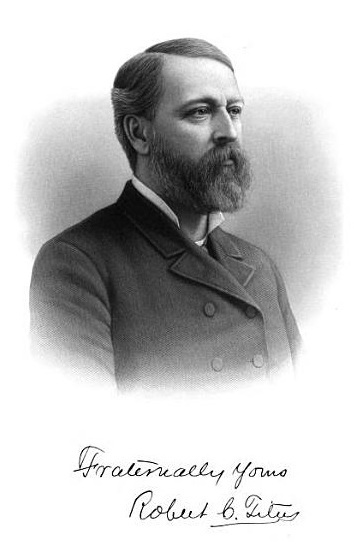 In 1881 he went to Albany as a State Senator. During his term in Albany, there was a great opposition to the Erie Canal, however Robert was a strong supporter to keeping the canal open. In 1885, Mr. Titus was elected Judge of the Superior Court of Buffalo. He was made Chief Judge in 1891. When the Court was abolished in 1895, the judges were transferred to the New York Supreme Court. 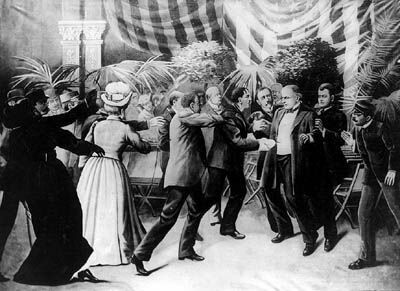 An Artist’s Depiction of President McKinley’s Assassination. Robert Titus was considered to be one of the state’s leading trial lawyers before he ascended to the bench. He was chosen by the state Bar Association to defend President William McKinley’s assassin in 1901. The trial of Czolgosz was notorious for how quickly it was completed. President McKinley died on Saturday, September 14th, Czolgosz was indicted on Monday September 16th. The jury for the trial was selected in two hours and twelve minutes. The trial began on September 23rd, as soon as the final juror was named. By the following afternoon, it was over. Judge Titus had been in Milwaukee attending a masonic convention when he heard he was assigned to the case. While the judges were highly respected, neither he nor his partner on the case, Judge Loran Lewis, had worked as a trial lawyer in years. Judge Titus and Judge Lewis had not wanted to represent the assassin; however, they took the side of justice to ensure that he was given a fair trial. The public outrage over the murder of the President was demanding a speedy trial and at the time, there was fear that it might not be a fair one. It was a credit to the both of theirs honor that they ensured that Czolgosz was dignified with a fair trial and not disposed of by “lynch or mob law”. Czolgosz assisted with the trial’s speed by refusing to cooperating with his legal counsel. Czolgosz tried to enter a plea of guilty; however, due to the magnitude of the trail, he was not allowed. The jury took only 30 minutes to determine that Czolgosz was guilty and he was sentenced to death on September 26th. One month later, Czolgosz was electrocuted in Auburn Prison. Judge Titus lived on Seventh Street. The portion of 7th Seventh Street on which he lived later became Columbus Parkway. Mr. Titus died on April 28, 1918 at the age of 79. He was survived by his son, Lieutenant Allan S. Titus, and daughter, Amy Titus Worthington. Judge Titus is buried in Hillcrest Cemetery in Hamburg, New York. Don’t forget to check out the Street Index to find out about other streets! Contemporary American Biography: Biographical Sketches of Representative Men of the Day. Volume 1, Part 2. Atlantic Publishing and Engraving Co: New York, 1895. Lord, Walter. The Good Years: From 1900 to the First World War. Kessinger Publishing, LLC, 2007. Miller, Scott. The President and the Assassin. Random House Publishing Group: New York, 2011. “Assassin Czolgosz Refuses to Plead: His Lawyer Enters a Provisional Plea of Not Guilty”. New York Times, September 18, 1901. Obituary of the Honorable Robert C. Titus. Buffalo Morning Express, Sunday April 28, 1918. Interesting – I lived on Oberlin St. two Streets away from Tutus. (Oberlin, Miller, Titus, Goodyear, Koons). I was wondering if Oberline was named after Titus’ alma mater. 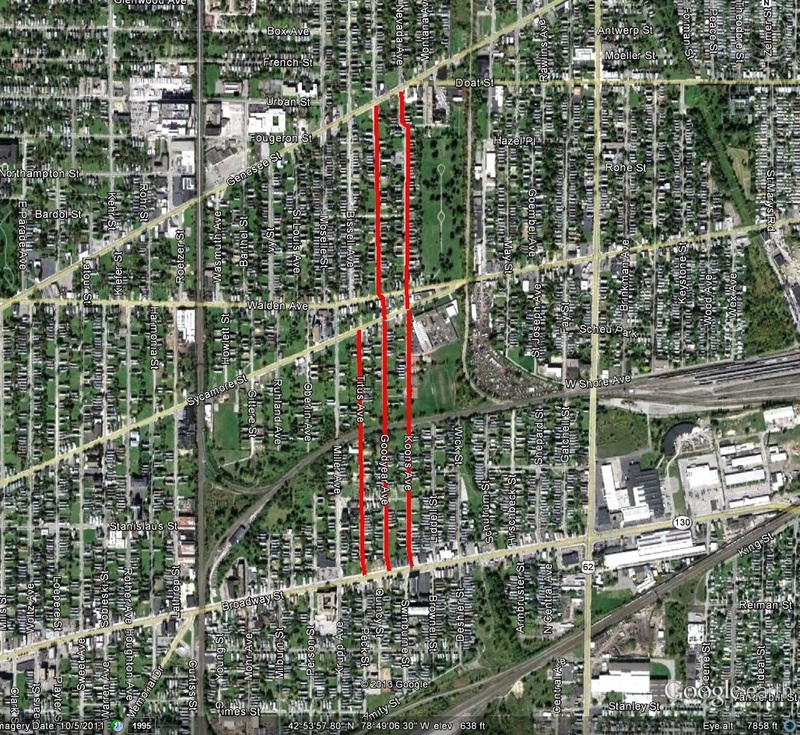 For at one time it was named St. Louis which is a street off off Walden and Oberlin. Notorious as a trial? Yes. Fair trial? Not. Titus tried to get out of the appointment as defense attorney and was apologetic for having to represent Czolgosz before, during and after the trial. . He practically acted as a prosecuting attorney. Czolgosz had no control over the speed of the trial. Such a suggestion flies in the face of reality. Czolgosz was in no way afforded any recognition of human dignity. Absolute scorn was heaped upon him at every turn.